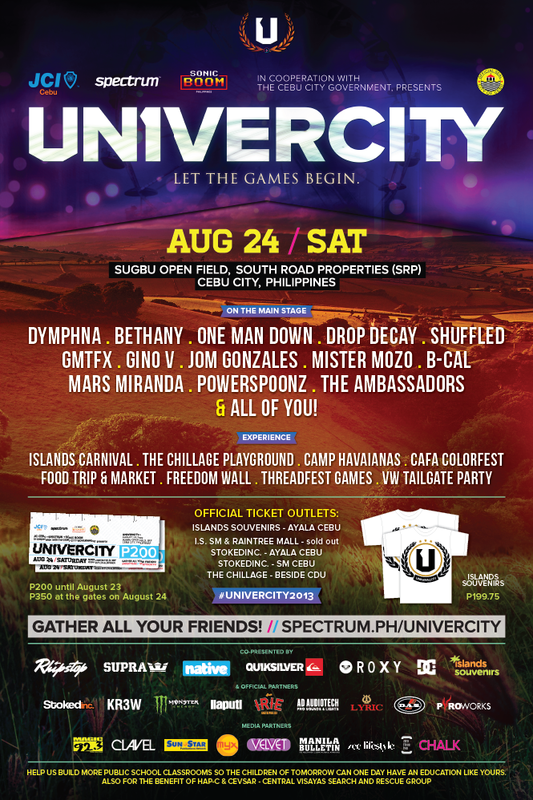 See you in Sugbu Open Field for the UNIVERCITY 2013. Tickets available for Php200 if you buy today, and will raise to Php350 if you buy at the gate. Benefits are for building of additional public classrooms and also of HAP-C and CEVSAR (Central Visayas Search and Rescue Group).